There’s been a lot of apprehension regarding the role investors have played in the ongoing real estate market recovery. Specifically, what they plan to do with their thousands and thousands of properties nationwide. And what that might mean for housing going forward. As we roll into 2014, one thing is becoming obvious, demand from institutional investors, defined as entities that purchase 10+ properties annually, is fading. Last month, such investors accounted for 5.2% of all U.S. residential property sales, down from 7.9% in December and 8.2% a year earlier, according to the latest Residential & Foreclosure Sales Report from RealtyTrac. The January numbers were the lowest since March 2012, a full 22 months, and no, cold weather was certainly not to blame. Do Investors Know Something We Don’t Know? At first glance, you might be wondering why big-time investors are exiting the once hot real estate market. But before we get too negative, you have to realize that investors aren’t the same as everyday home buyers. The former need to make a profit, ideally a quick one, so if home prices are more reasonably priced, it makes for fewer big opportunities. 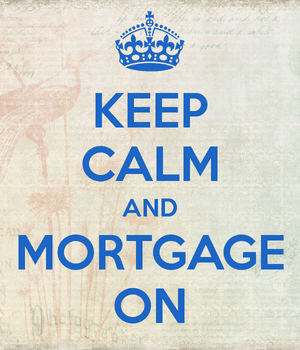 That doesn’t necessarily mean it’s a bad time to buy a home, it just means it might not be a great time anymore. Furthermore, investors haven’t left entirely, they’ve just changed their focus. As the table above illustrates, investors have reduced buying in certain markets and increased it in others. In fact, the institutional investor share was up a staggering 162% in Austin, TX last month from a year earlier, 83% in Cincinnati, 30% in Dallas, 21% in Denver, 15% in Raleigh, and 9% in Atlanta. Additionally, all-cash sales accounted for nearly half (44.4%) of all U.S. residential home sales in January. On the other hand, the institutional share was down 70% in Cape Coral-Fort Myers from a year earlier, down 64% in Memphis, 59% in Tucson, 48% in Tampa, and 21% in Jacksonville. Phoenix and Orlando also took a knock in that department. So apparently there’s still opportunity out there, it’s just in different metros and the pickings might be a little slimmer. 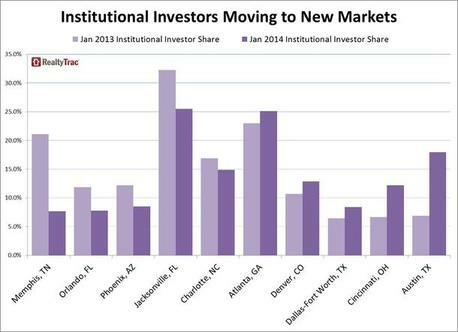 Overall, metros with the highest share of institutional investor purchases last month included Jacksonville (25.5%), Atlanta (25.1%), Austin (18%), Charlotte (14.9%), and Greenville, S.C. (14%). In other news, Redfin pointed out today that 39% of prospective home buyers that already own a home want to rent out their current properties. A Redfin agent noted that many of his clients refinanced into “very low” mortgage rates over the past few years, so the interest rate lock-in, combined with a strong rental market means holding onto the property. There’s also fear of becoming homeless if you sell your existing home and don’t have something else immediately lined up. Ironically, it is buyers like this that are adding to inventory constraints, making it more difficult to find a home to purchase. But with investor appetite dwindling, it might be a tad easier to get your hands on a home, even with so many rentals beginning to flood the market. So this could mean even higher home prices to come, at least in the desirable areas, and perhaps a bump in fringy locations as well as buyers are pushed out of their first-choice destinations once again.